September 1952 and the body of Willem Pretorius, an Afrikan Captain of the local police force, is found dead, lying face down in waters of a river he’d been fishing in rural South Africa. Due to a miscommunication, rather than a full investigative team arriving on the scene, Sergeant Cooper, an ‘English’ South African has been dispatched on his own, much to the chagrin of the dead man’s powerful family. Not long after Cooper starts his investigation, the case is taken over by the army’s security branch who are keen to prove that the captain’s death was the work of black communists. Convinced that the security branch are using the murder for their own ends and that Pretorius had been leading a double life, Cooper is ordered by his boss to stay in place and run a parallel investigation, much to the annoyance of the family and the army. Running against the grain, he slowly starts to unpick Pretorius’ dark secrets, aware that in pursuing them he is in danger of revealing his own – secrets that would threaten his position. A Beautiful Place to Die has all the ingredients of a good crime novel – social tension between individuals and groups, interesting historical context, excellent characterization, strong sense of place, good pacing and a well constructed plot. The novel is set not long after the National Party came to power in 1948 and started to push a strong apartheid agenda and Nunn uses this context to good effect, especially the simmering tensions between Dutch Afrikaners, English White, Blacks and Coloureds, and even Jewish refugees from Germany, and exploring the blurred lines between these groups. The characters are well penned and memorable, and the dialogue and scenes were well judged. The sense of place is particularly strong, capturing both the landscape of rural South Africa and the geography of apartheid in terms of how space was carved up and traversed. The plot builds nicely, with a number of blinds and twists, though ultimately in striving for increasing tension the end wobbles a little by stretching plausibility to the limit and becoming a little too over-melodramatic. This was a shame as the book really was excellent up until this point. 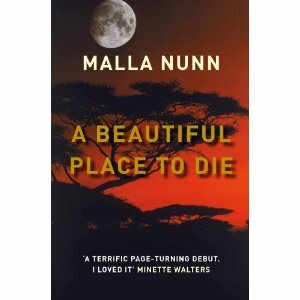 Regardless, there is much to like about A Beautiful Place to Die, and Nunn has the foundation for an enjoyable series. Oh, good. This is sitting around here somewhere. I'm glad to read this. I read the sequel, "Let the Dead Lie," which was excellent. 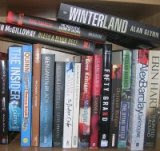 So I will read Nunn's first one very soon. Hope there are more in this series. She is my favorite crime fiction writer about South Africa thus far.